Republicans and Democrats on the Senate health committee expressed hope Thursday that they could craft a bipartisan bill by next week to stabilize the individual insurance market. At the last of four hearings held by the Health, Education, Labor and Pensions Committee, expert witnesses representing insurers, providers, consumers and state insurance commissioners stressed the urgent need for Congress to fund payments to insurers for the Affordable Care Act's cost-sharing reductions to low-income consumers. Without that, they warned premiums would be 20% higher than if the CSRs were funded. In addition, they pressed for a federal reinsurance program to help carriers with the cost of sicker enrollees. And they urged strong enforcement of the law's requirement that everyone buy insurance, or an alternative mechanism to prod consumers to maintain continuous coverage. They also pushed for adequate funding of enrollment outreach activities. But it remained unclear whether Republicans and Democrats on the panel could overcome their disagreement over including GOP proposals to let states and insurers offer cheaper health plans with less comprehensive benefits in the package. Many Senate Republicans also continue to oppose any moves to repair the Obamacare markets, with some pushing for a new bill to repeal and replace the ACA. 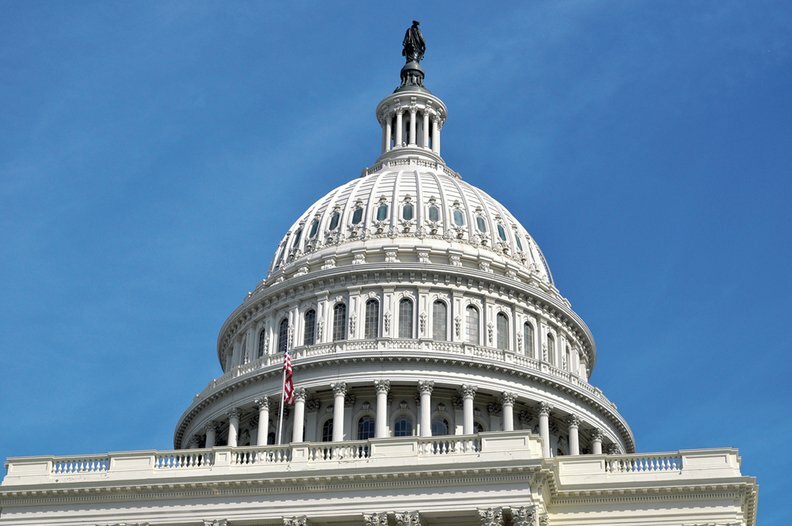 Insurers say they need Congress to act at least on funding the cost-sharing reductions before their Sept. 27 deadline for filing plans and rates for 2018. Committee chair Sen. Lamar Alexander (R-Tenn.) and the panel's ranking Democrat, Patty Murray of Washington, face a tough task to pull that off. "I want a result that gives states flexibility in the approval of coverage, choices and prices for health insurance," Alexander said. "I simply won't be able to persuade the Republican majority in the Senate, the Republican majority in the House, and the Republican president to extend the cost-sharing payments without giving states meaningful flexibility." Republicans on the panel floated a number of ideas for offering greater flexibility in plan design, such as allowing the sale of high-deductible catastrophic plans to people of all ages; letting smaller businesses band together to offer deregulated plans for their employees; establishing copper-tier plans with lower actuarial values than silver plans; and allowing states to waive the ACA requirement that all plans offer 10 categories of essential benefits including preventive, maternity and behavioral care. Those ideas drew wary responses from the witnesses and opposition from Democrats on the panel. "We're not a proponent of blowing up the essential health benefits," said Robert Ruiz-Moss, Anthem's vice president for the individual market segment. "We think there needs to be a minimum level of benefits." Dr. Susan Turney, CEO of the Marshfield Clinic Health System, which operates the Security Health Plan, said any moves to reduce benefits or increase deductibles and cost sharing worry her. "We want to make sure people have the most comprehensive benefits," she said. "Then patients are more likely to come in at the appropriate time and not go to the emergency room, and the outcomes are better." State insurance regulators could hamstring the cheaper, less comprehensive plans by refusing to approve them. "Our number one goal is to protect the consumer," said Raymond Farmer, director of the South Carolina Department of Insurance. "If a plan was submitted that doesn't offer essential health benefits we think consumers need, it wouldn't be approved." Alexander said he wants his committee's market stabilization bill to include temporary CSR funding, establishment of a cheaper copper-tier plan option, and changes that will make 1332 waivers easier to obtain and give states greater latitude in setting benefit rules. He did not mention establishing a new reinsurance program, which GOP conservatives strongly oppose. But that was a top ask of the expert witnesses, including Farmer, who said the National Association of Insurance Commissioners wants to see a $15 billion federal reinsurance program. That would reduce premiums and shrink federal spending on premium subsidies, he said. Sen. Tim Kaine (D-Va.), told the insurers on the panel that they had a right to expect Congress to provide policies establishing market stability, such as assured CSR funding. But he warned them that if they continue to exit markets and leave consumers in some counties with no individual-market health plans — as Anthem recently announced it was doing in Virginia — Congress would establish a public plan option to ensure that coverage is available everywhere. "We won't tolerate bare counties. We'll provide an option that's challenging to the insurance industry," Kaine said. "Insurers have to worry about holding a knife up to their own throat."